The clients had a vision of a Google office for their otherwise ordinary common space. Creativity and collaboration needed to be nurtured within the team. 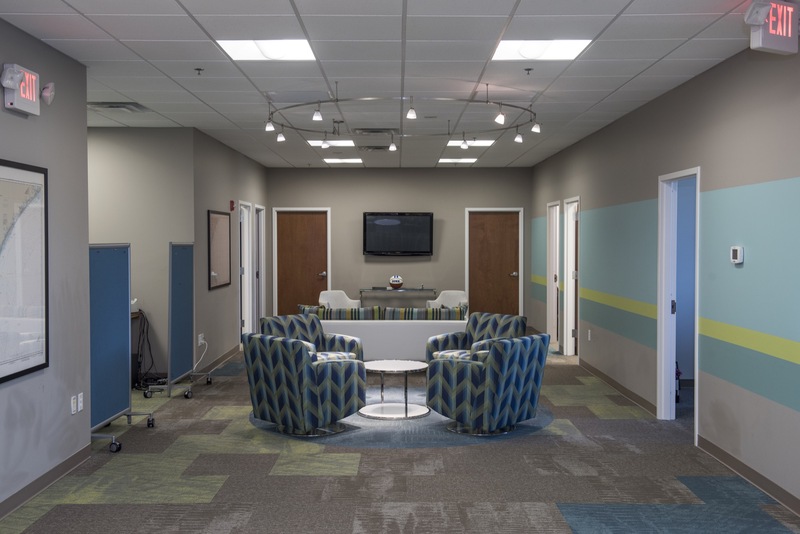 We created opportunities for collaboration in the long, narrow common area through lighting, patterns in the flooring, and seating groups. The Google office concept translated into energizing fabric combinations, surprising light fixtures and surface materials, as well as very modern styles of furnishings. 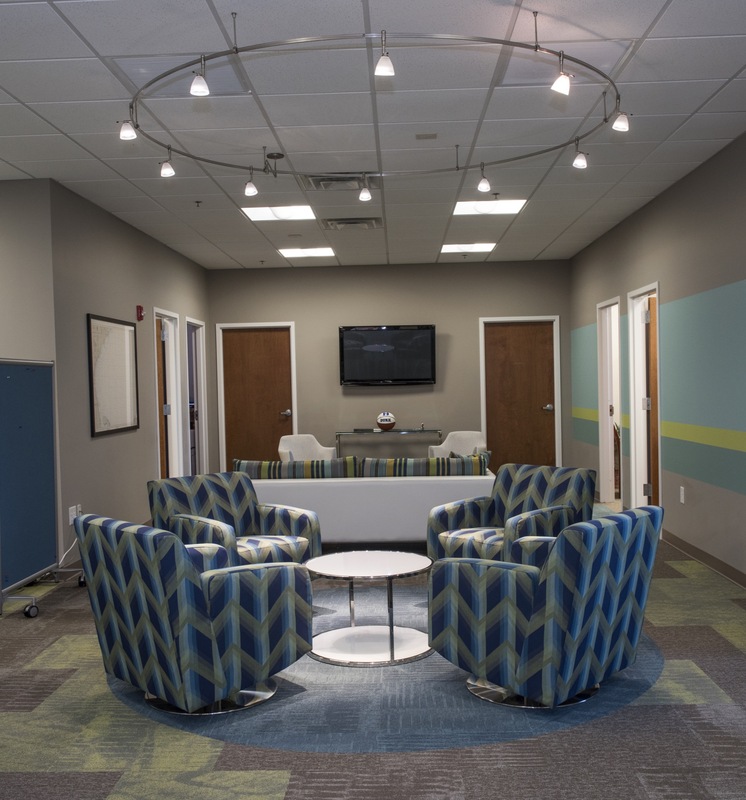 We reinforced their corporate colors of blue and green throughout the design. 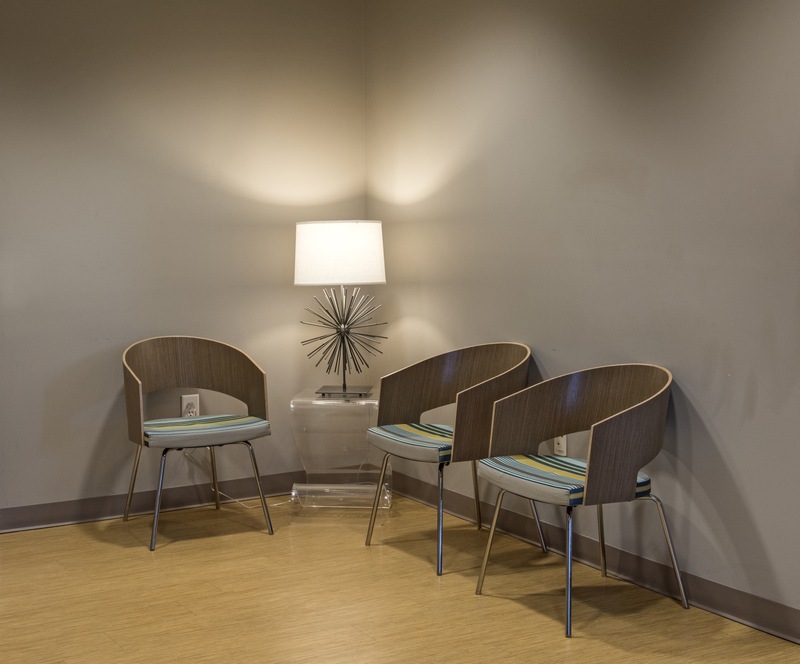 The blue and green banding on the common area walls, reinforced the newfound energy within in space. 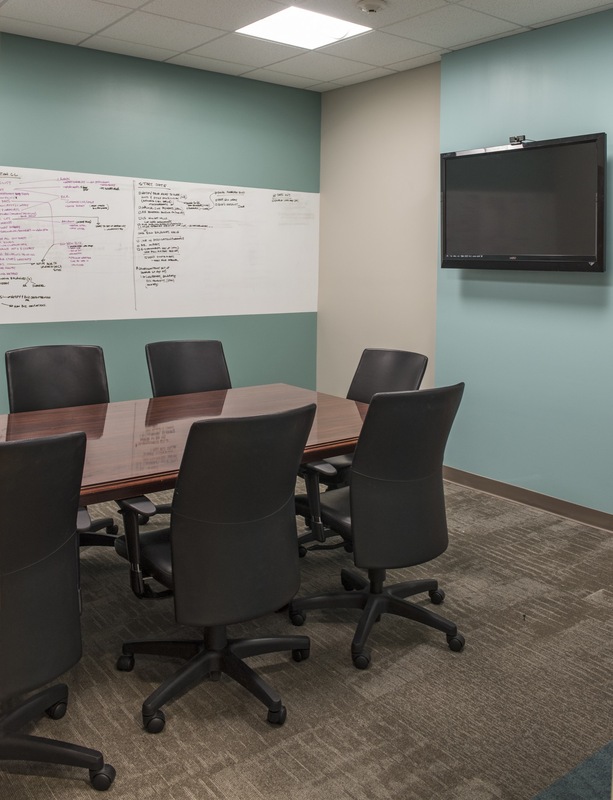 It also served as a way to add visual interest to the space without comprising the budget. We reworked the kitchenette, running a lime green recycled plastic material horizontially on the countertops and backsplash. 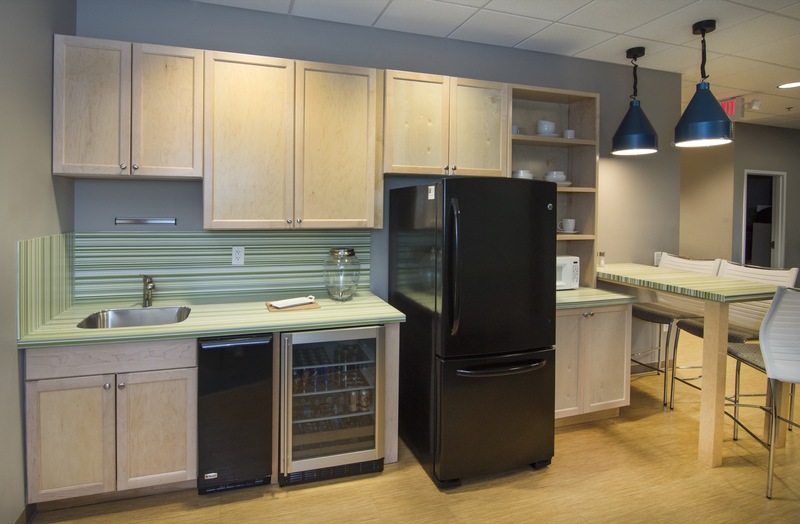 We strive to find unique things in each project that we haven’t used before, like the metallic blue pendants hanging over the kitchenette bar. 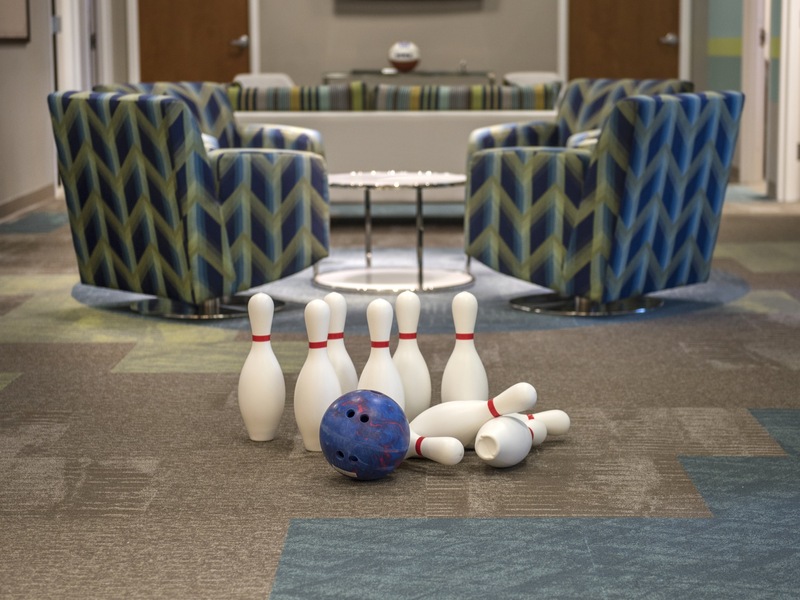 Another conversation piece in the project was the bowling pins in the common area. 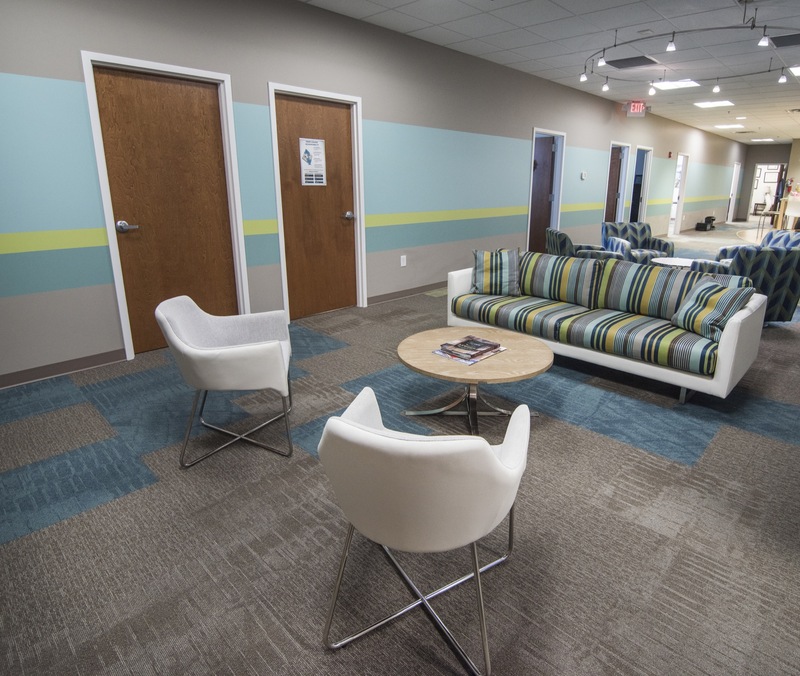 The seating in the common area was set up for conversations between small groups, while still being flexible for the occasionally bowling break. 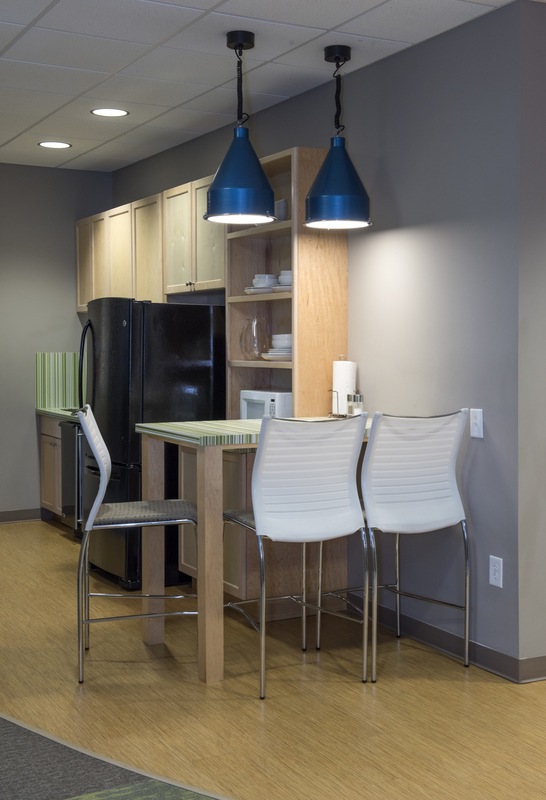 We strive to find unique things in each project that we haven’t used before, like the metallic blue pendants hanging over the kitchenette bar.